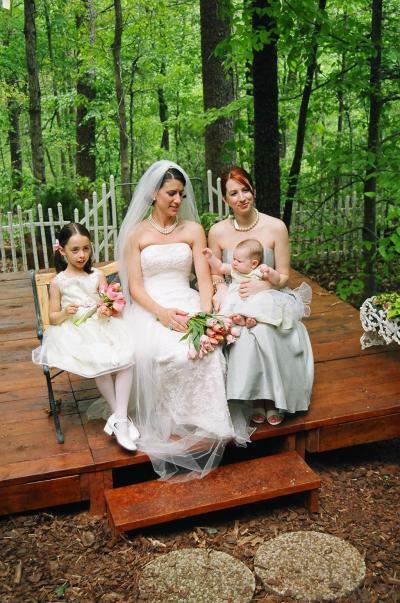 Many weddings are held outdoors but there are weather concerns to plan around. 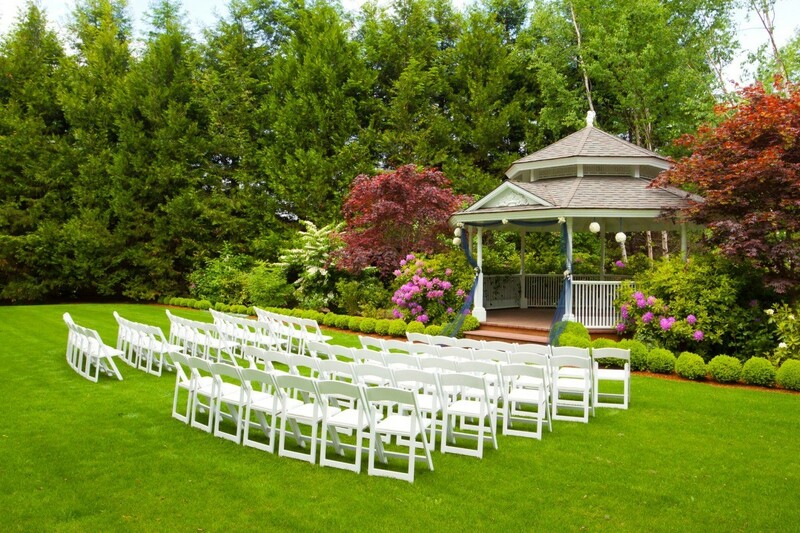 This is a guide about planning an outdoor wedding. As most married couples know, weddings can be very stressful. Stressful to the point that the bride and groom cannot even remember their special day. My tip to make it a unique and unstressful day is to pick a outdoor venue. My husband and I chose a local beach and with permission, we set-up chairs, props, and had the ocean and waves as our beautiful backdrop. We celebrated our reception under the stars in our own backyard. It was so relaxing and so beautiful that we urge others to do the same! We did our wedding in my Aunt's backyard. She lives in kinda rural georgia.We rented chairs and got a deal on a good caterer. My friend did the flowers and I got some other friends to help with cleanup. The only bad part was that the septic tank acted up the day before, so as a backup my aunt ordered a portalet in case all poop broke loose:) Also my uncle built a platform out of used wood. It was a fabulous event because the Azaleas had just bloomed. Take advantage of warm weather and inexpensive facilities. 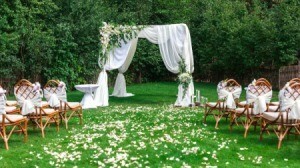 A park or a family yard can provide beautiful flowers and a comfortable atmosphere for your commitment ceremony. 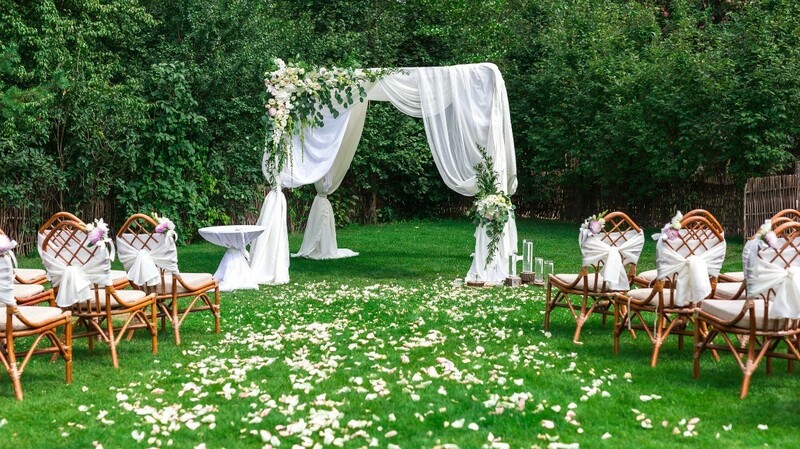 This is a guide about simple outdoor wedding.